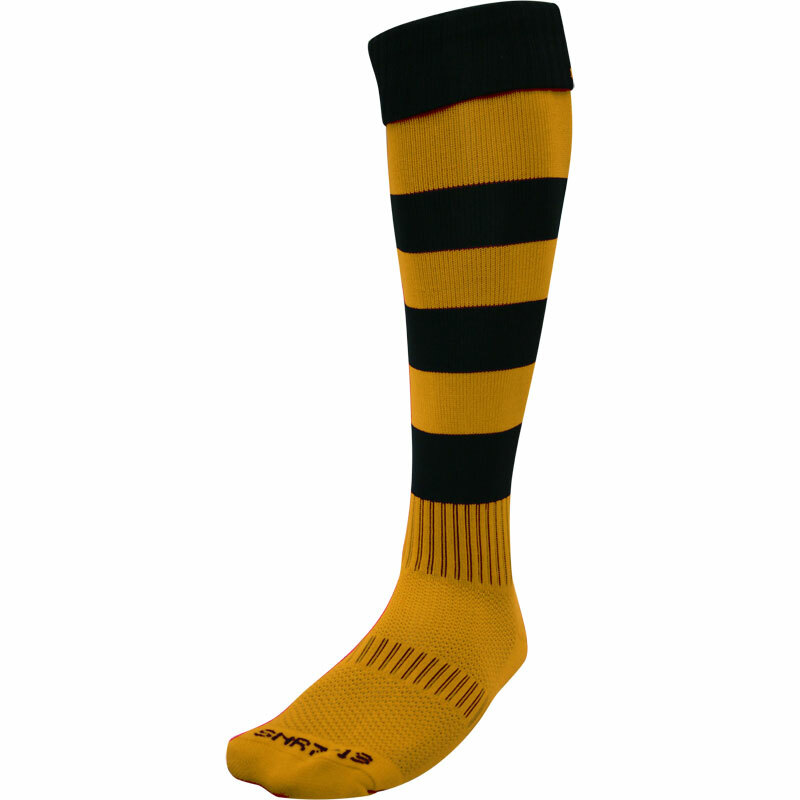 Gilbert ® Kryten II Hooped Rugby Socks. 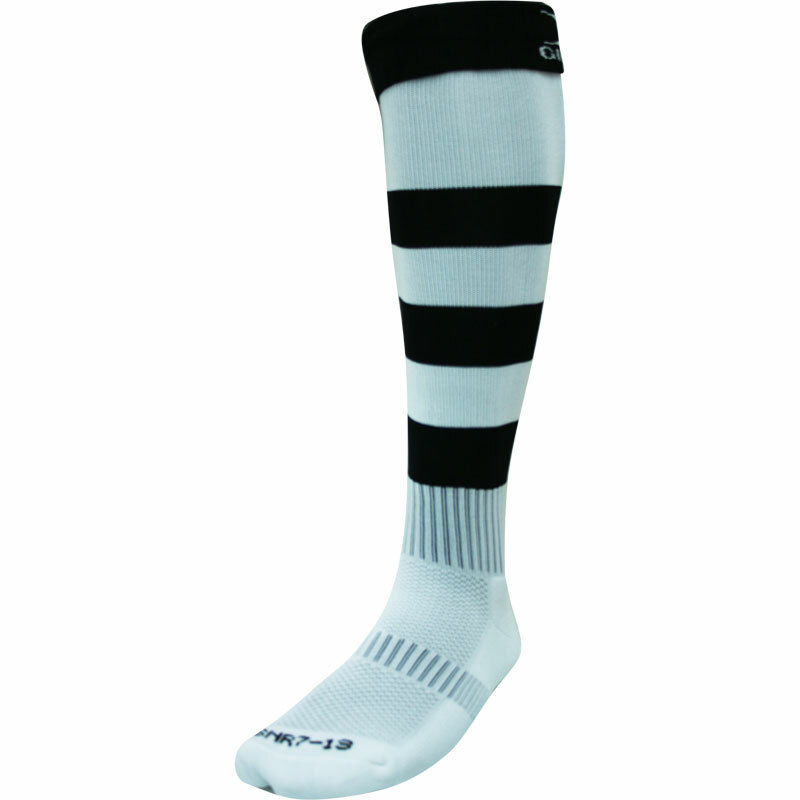 A brilliant sock for rugby matches and training. 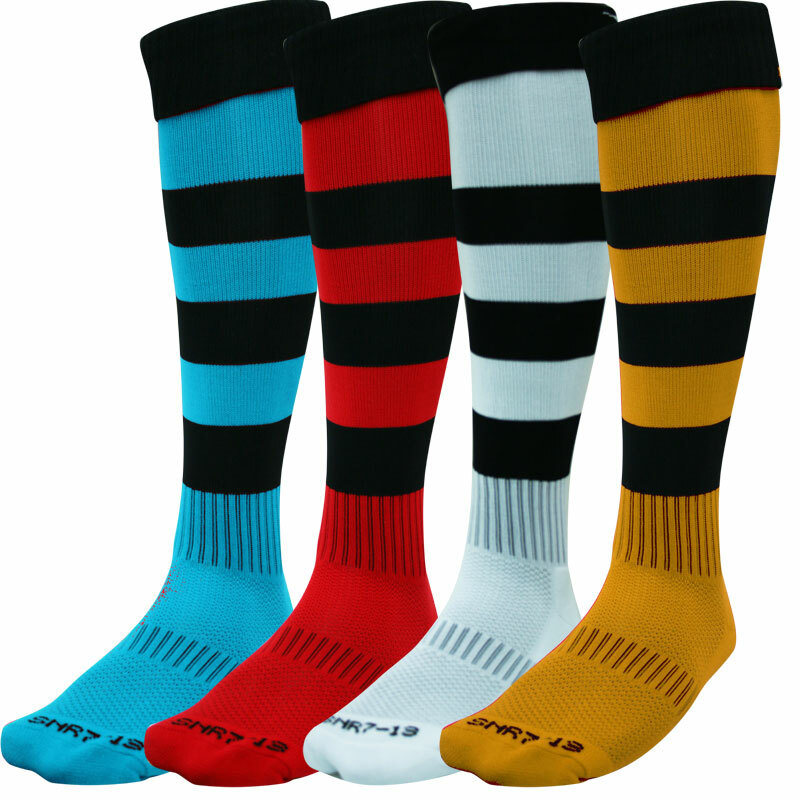 High density padding in the heel, toe and underfoot. 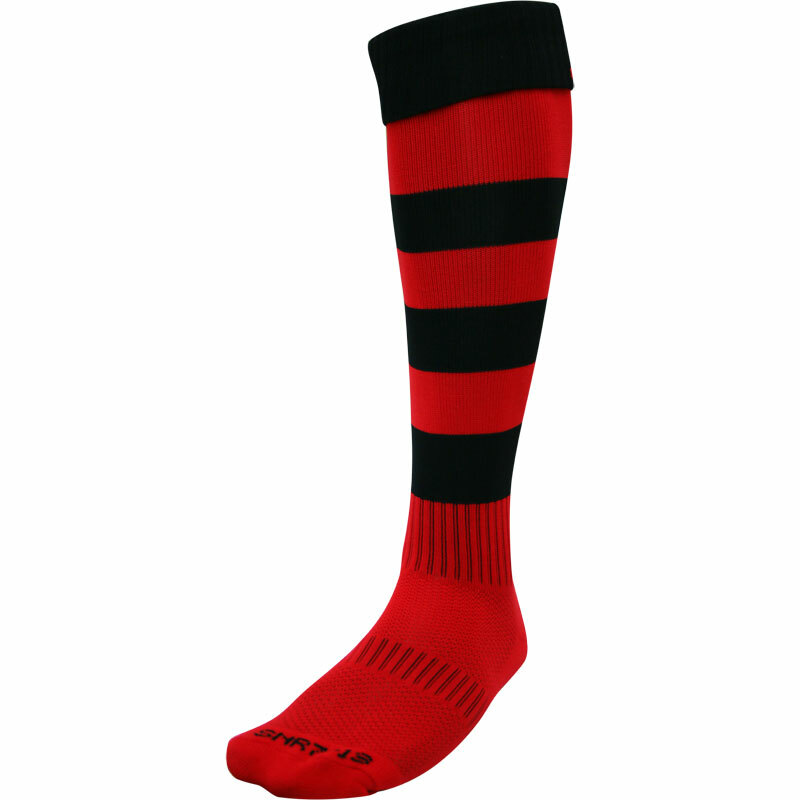 Gilbert emblem on the back cuff of sock.